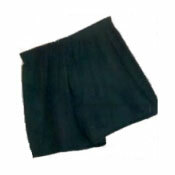 Made of 100% Nylon Tricot, these boxers feel just like silk! They are lightweight and very comfortable. They are also perfect for travel and they dry fast.